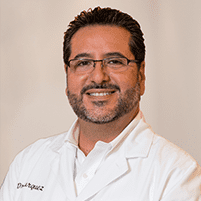 At his state-of-the-art practice in Bonita, CA, Dr. Burquez provides patients from Bonita and Chula Vista with a full array of orthodontics options to help them have straighter teeth, more attractive smiles and a lower risk of decay and bite-related problems. Is there an upper age limit for orthodontic treatment? You can have orthodontic treatment as long as your teeth and jaws are strong enough and healthy enough to withstand the pressures associated with realignment. How old should my child be to begin orthodontic care? Most people think orthodontic care should begin in the mid- to late-teen years, but in fact, it's always a good idea to have a consultation while your child is still very young to identify potential space restrictions or alignment issues early. In fact, the American Academy of Orthodontists recommends children be evaluated for orthodontic issues by their seventh birthday. In some cases, certain issues may be addressed with extractions or spacers. Seeing the orthodontist early also helps you plan out your options for care. Most treatments can begin in the pre-teen years. How can I tell if orthodontic treatment is right for me? The best way to decide if orthodontic treatment can help you have a healthier, more attractive smile is to schedule a consultation to discuss your concerns as well as learn about all the orthodontic options that are available today so you can decide which type of treatment – if any – is right for your needs and your expectations. Do orthodontic treatments offer benefits beyond cosmetic improvement? Absolutely; by addressing crowding and other alignment issues, orthodontic treatment makes it easier to care for your teeth and eliminates hard-to-reach crevices where bacteria can grow, plus it can eliminate jaw pain and headaches caused by tempomandibular joint disorder (TMJ). Is Invisalign® a better option than traditional braces? Not always; Invisalign® isn't ideal for all types of alignment issues, and the treatment is also more costly compared to other types of orthodontics. Your evaluation will help determine if Invisalign® is a good choice or if other options might be more suitable.